Inclusive education is a process of addressing and responding to the diversity of needs of all learners through increasing participation in learning, cultures and communities, and of reducing exclusion from education. ELT is a profession which tries to promote tolerance and understanding, yet it is often lacking in inclusivity and equality. Policies alone are not enough to build an inclusive workplace. Looking at what inclusion means and how it can help not just learners, but everyone involved from teachers and managers to administration staff and school owners. What diversity, inclusion and equality look like in the workplace. How we include not only students with learning differences but also raise awareness of LGBTQ and racial and cultural differences. Points to consider when embedding equality. The benefits of inclusion, diversity and equality in the classroom and the workplace. The workshop is designed so that, in the process of conveying information about inclusive education, it will also demonstrate participatory processes that participants can use in their work and demonstrate some of the teaching and learning approaches that often characterise an inclusive classroom. Varinder Unlu has worked in ELT for 26 years in all contexts from private language schools to FE and HE, teaching students of all ages. She has been a DOS/Academic Manager since 2002. She is currently Academic Manager at Glion Institute of Higher Education. She is also a teacher trainer for both Cambridge CELTA and Trinity TESOL, a materials writer and a conference speaker and the coordinator of the Inclusive Practices and SENs IATEFL SIG. She is currently doing an MA TESOL. 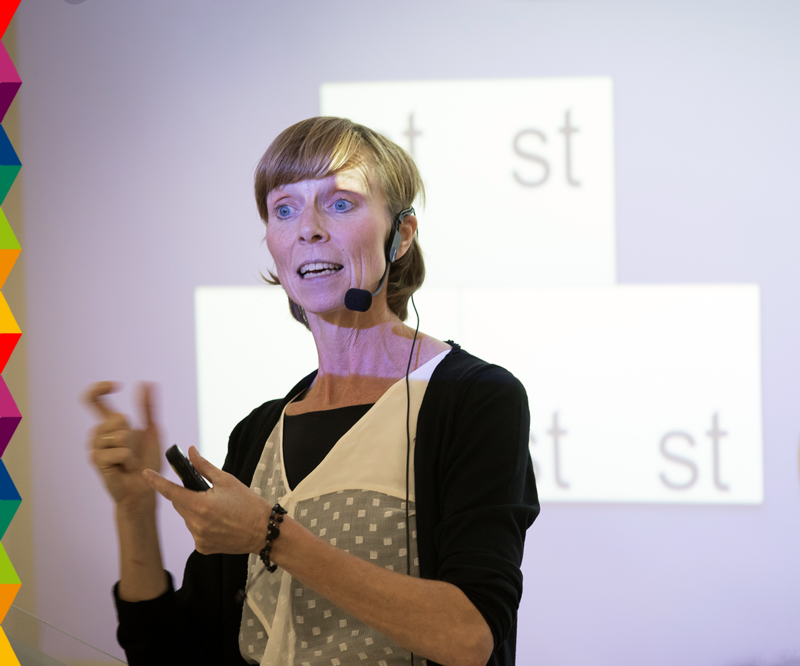 Caroline has been an English language teacher since 1989 and trainer since 2000. Working with students of all levels and ages in both state and private schools, she also teaches English Language and Methodology courses for Primary and Secondary School Teachers. In addition, she was responsible for English Language in-house training for the Bank of Sicily, has worked with a variety of EFL publishers, is a Cambridge speaking examiner and is also a qualified online teacher trainer. Based in Palermo since 1991, she has also taught in Scotland and France. Caroline has a B.A. in French and English and the RSA/Cambridge Dip. TEFLA. Jenny has been teaching since 2008, working with International House in Portugal, England, Thailand, and now Italy. She specialises in teaching young learners; she regular gives input both in-house and to state school teachers on teaching YLs. Jenny has a B.A in Linguistics, the Cambridge DELTA and is an online and face to face tutor for the International House Certificate in Teaching Young Learners and Teenagers. Jenny is a also CELTA Trainer. 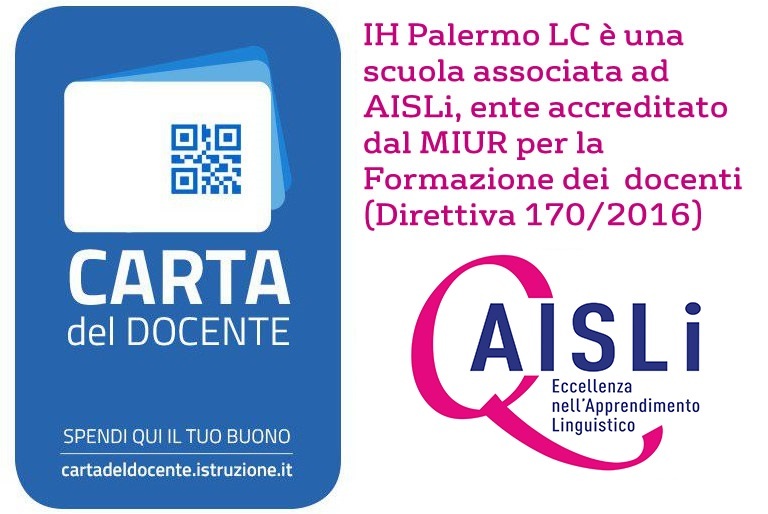 Bio: Lisa has been teaching since 2010 and has taught in Japan, England, Poland and Spain and is now working here at IH Palermo LC as our Young Learner Coordinator. She's been involved with International House since the start of her career and focuses a lot of her teaching on Younger Learners. Lisa has been involved in teacher training, both in-house and at IH Conferences, for over 5 years and is a trainer on the International House Certificate in Teaching Young Learners and Teens. She has a degree in English and Sociology, a Postgraduate Diploma in Careers Guidance and has completed her CELTA, IHCYLT, DELTA and IH Language Awareness Courses with International House. A Seminar for English Language Teachers of Lower Secondary and Secondary school including practical classroom ideas for dealing with students with different educational needs.